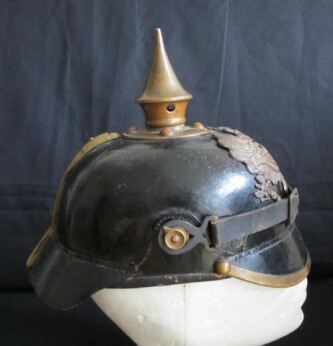 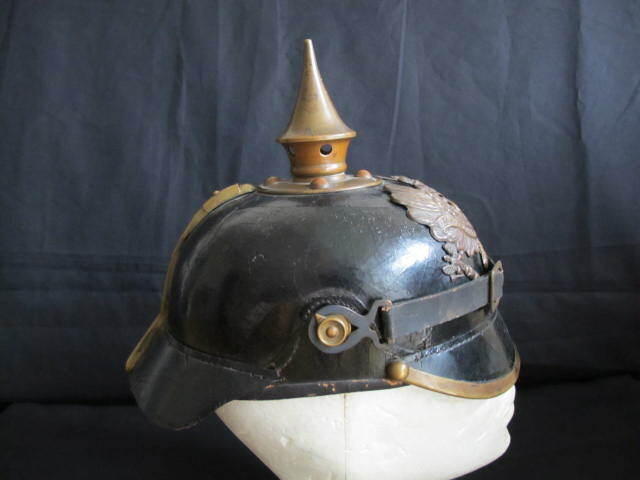 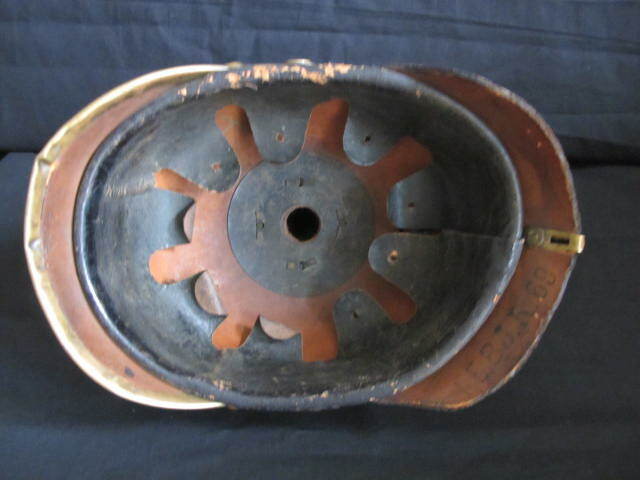 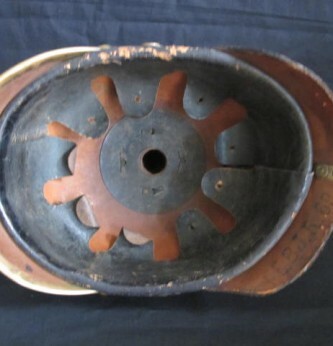 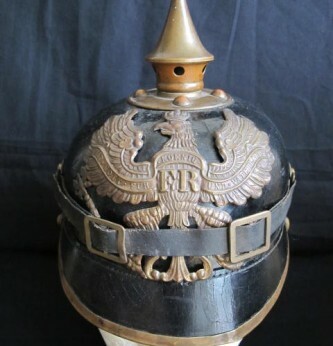 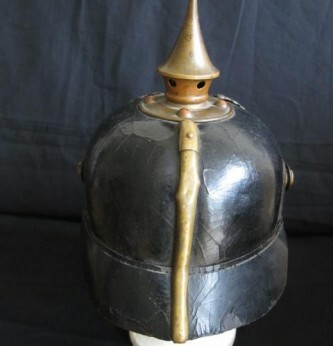 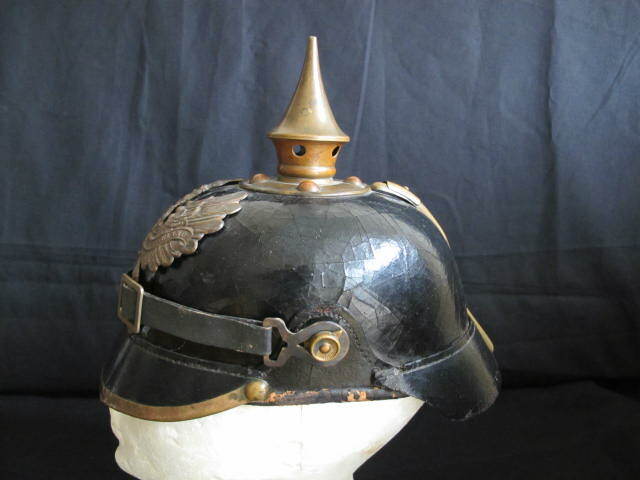 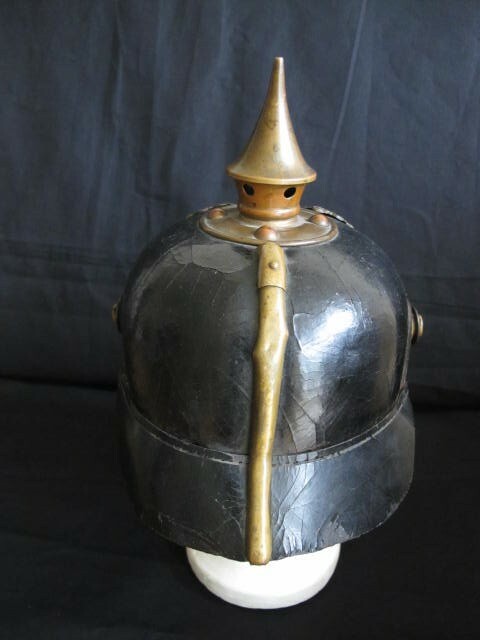 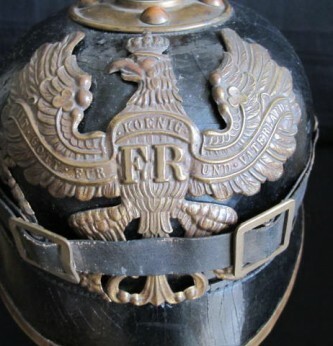 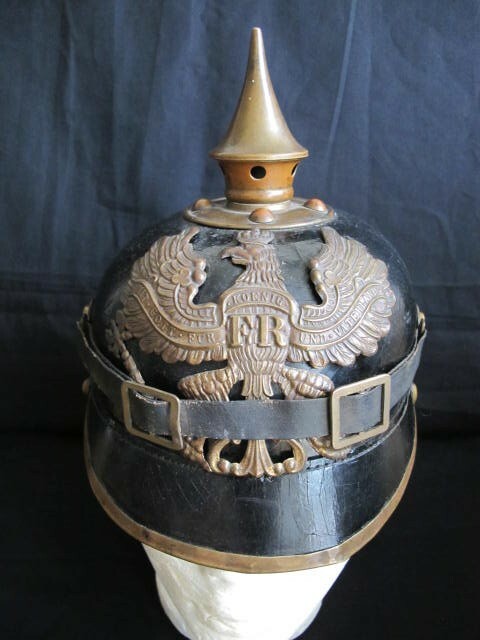 Good brass on leather Prussian State Other Ranks Picklehaube. 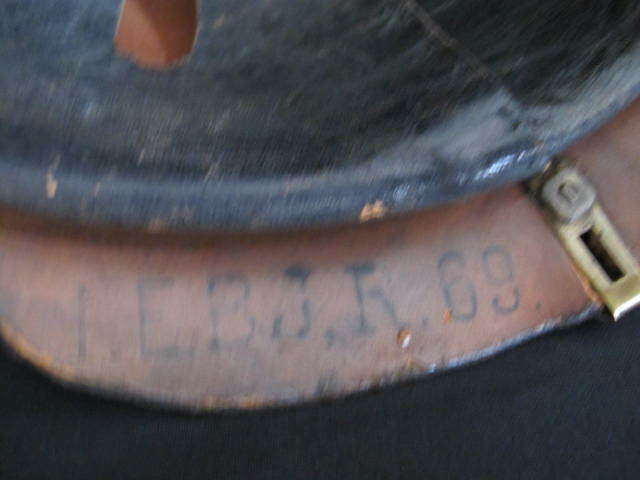 Nice untouched, un-cleaned example. 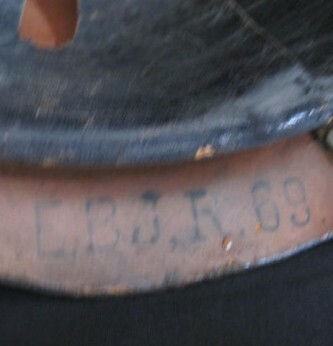 Complete with good condition original leather lining and regimental stamps to back peak JR69. 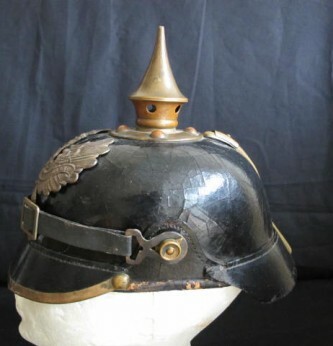 Later replacement chin strap and no cockades remaining. 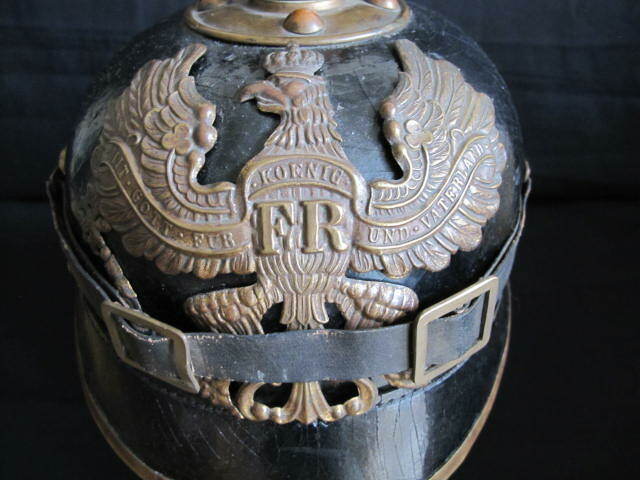 A nice example of this other ranks helmet.